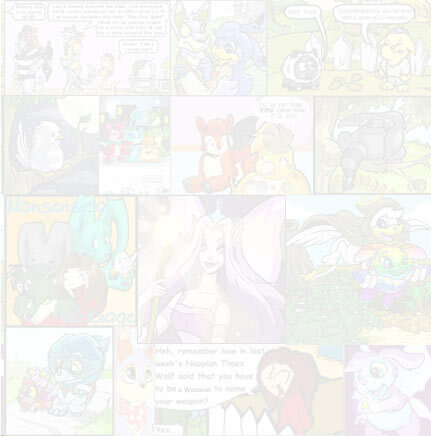 Once upon a time, there lived a pastel yellow Kacheek, and a shadow Shoyru who lived in eternal joy as friends. They laughed together, played together, and did almost everything together. The two talked about problems, and the other always seemed to have the perfect resolution. Both friends shared secrets with each other, and were as close as two pets could be. If one was in trouble, the other was right by their side. From fighting off wild creatures to helping one another clean their rooms, they stayed side by side, no matter what. 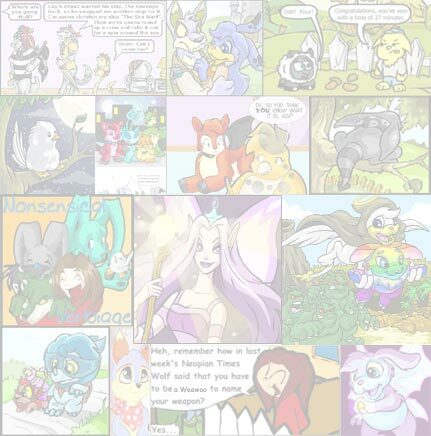 The Neopets adored each other, and understood their problems and feelings. They went through most of their lives like this, going through many adventures together. The two were as happy as can be, and the best of friends. But that was nearly a year ago, before the Meridellian war had started. That was before they had separated and nearly become enemies. A yellow Kacheek brought a dagger down on a giant Spyder. Finally the great beast fell to the ground, defeated. Panting, the Kacheek looked around for her next victim. Her eyes widened in surprise and shock as she saw a shadow Shoyru fighting a Meridellian. No! It can’t be! she thought. The shadow Shoyru took a green Zafara down with a mighty battle cry. The yellow Kacheek raced over as soon as the Zafara fell. “Midnight?! What have you done? !” The Shoyru’s evil-looking eyes widened. “S-Sunshine?” His eyes turned back to kind ones Sunshine used to know. But evil eyes replaced his own again soon, as some kind of spell came over him. “No!” he shouted. With that, he disappeared in a puff of smoke. Sunshine searched for any sign of her lost friend Midnight. Her eyes brimmed with tears. A blue Blumaroo appeared in the doorway of Lord Kass’ room. Seconds later a shadow Shoyru appeared in the doorway. Sunshine sat at home, bewildered. She hadn’t seen her dear friend Midnight now for nearly a year, and then suddenly there he is… fighting against Meridell. Tears streamed down her face as she remembered all those memories she shared with him. And now…he had become the enemy. Why would he turn against us? Dreaded thoughts ran through her head. “No…” she whispered. More tears ran down her cheeks. Midnight sat in his small room in the Citadel. Memories came flooding back as he lifted up a picture of him and Sunshine. Why had he let Kass get the better of him? It was a late summer’s day. Pteris flew from tree to tree, visiting with Usuls who lived there. JubJubs huddled in groups to tell secrets. Blumaroos took a walk or two together, chattering away. The sky was clear; not a cloud in sight. Ixi slunk around shadows curiously. Lupes strode proudly down a cobblestone road. The sun was out, and life was good. But Midnight was sad. Sunshine was gone on a trip to Faerieland and was going to be gone for the whole Spring break. The Shoyru was lonely and had no one to talk to, no one to understand him like Sunshine had always did. He went for a walk in good ol’ Meridell. All of a sudden he saw an Eyrie. A sad looking Eyrie. “What’s wrong?” Midnight asked. The Eyrie looked up at him. “It makes me sad to see another sad. I have sensed that you are, Midnight,” said the purple Eyrie. “Come with me and I shall show you happiness. I know what’s best for you. Sunshine will never come back.” The truth was, the Eyrie, Kass, had seen this pet training for war and wanted him as a soldier for himself. If he didn’t have him on his side, he would be on Meridell’s side. And that would be bad. Foolishly Midnight agreed. He had been depressed and dejected, and was not thinking right. All warnings not to mingle with strangers were pushed to the very corner of his head, and had paid no heed to them. From that day on, he was called BlackKnight in the Citadel. And from that day on, he was considered gone in Meridell. Missing. Dead. Sunshine vowed to find Midnight, talk to him, even if it meant fighting him. She couldn’t bear losing him again, not this time, especially when she could prevent it. No, she would not lose him this time, she wouldn’t. Through thick and thin they stayed together, and for years they had been best friends. Nothing could change that friendship they had. They were friends, and they would say friends forever. Midnight sat in his room crying silent tears, tears for memories, tears for Sunshine. He always knew deep down in his heart that he could not fight her. He was her friend. The room was dark, dark so that not even mice dared creep into the shadows, shadows that seemed to envelope the room. The only source of light was the tiny window hovering over his tiny cot, which served as a bed at night. But alas, the bright sun hardly looked through the window as if it could not bear the sight of the poor Shoyru. Now only the moon could creep into the infinitesimal room by night. All was dejected and sad. He could just pack his little things and run out the window. Just leave, just like that. He could go back to Sunshine, tell her how much he’s missed her, and the whole story of Kass and himself. He’d explain Kass’ plans on where and when he was going to attack, and he would be a hero. He would reunite with Sunshine, and it would be like the old days when they’d be so happy together. Would Meridell take him back? After all the evil he had done? Slaying Meridellians… Helping Spyders bring down Meridellians that were about to defeat them… Devising clever plans for Kass… They should never give another chance… and yet… he hoped they would. But what about Sunshine? What about the whole 11 months, 3 weeks and 4 days he deserted her? Yes, he had been counting every minute that he was away from her. But was she? But was his family? And the fact that he had turned against Meridell… Would they ever forgive him? No, he decided. They would not forgive me. I would not either. “BlackKnight! We need you on the battlefield!” an anxious blue Blumaroo hollered into the dank room. “Alright, I’ll be there in a second,” said Midnight, forgetting Sunshine and Meridell again. Dropping the picture frame to the ground, Midnight left his room. The Shoyru had left the door open. In shone light from the hallway, shining on the shattered picture frame. Inside lay the picture of Sunshine and him. “The Spyders are coming! The Spyders are coming!” shouted a voice. Meridellians everywhere rushed to their doors and windows to see what all the razzmatazz was all about. Sunshine grabbed her Lost Desert Dagger and ran out the door. She ran to the battlefield, surveying the war scene for any sign of a shadow Shoyru. At last she spotted him. As soon as his victim (a yellow Buzz) fell, Sunshine rushed over to talk to him. She knew it meant fighting him, but she just had to stop him. Midnight’s eyes grew worried and frightened as she drew near. He hadn’t expected to encounter her again. “Sunshine…” was all he could muster out. In his room, Lord Kass was furious. How could she be back? he asked himself. I sent three warriors to kill her! Fuming, he looked out his window only to anger him more. Sunshine and Midnight were standing by each other, and Kass assumed they had gotten back together. “Guard!” he shouted. “Quick! To BlackKnight! You must tell him to destroy that Kacheek!” The guard nodded. Taking up a small device that looked like a walkie-talkie, he pressed a red button and spoke to Midnight. “Orders from Lord Kass, BlackKnight,” boomed the device Midnight held. Midnight looked down. “Orders to kill the yellow Kacheek named Sunshine.” Suddenly Midnight forgot himself again, lost in the world Kass brainwashed him into believing in. He suddenly felt like carrying out the orders. His eyes filled with hatred and violence. He picked up his sword. Sunshine saw through watery eyes what he was doing. “No… Midnight, it’s me! Sunshine!” Midnight didn’t even flinch. He started towards her, sword raised. As they started to fight, tears welled up in Sunshine’s eyes. It was like he didn’t remember! “Midnight, try to remember!” Midnight ignored her, just wanting to carry out orders from his boss. Midnight had always been the better fighter between the two, and so Sunshine was losing by a mile it seemed. The shadow Shoyru swung his sword fiercely at the Kacheek. With a struggle Sunshine managed to block most of his swings at her, but every now and then Midnight would cut her. Midnight heaved his sword up over his head, ready to strike once more. Sunshine let out a cry of fear as she held up her dagger to block the blow. Sword and dagger connected, and a horrible shriek erupted from the metal as Midnight pushed harder and harder and the metal ground. Sunshine’s arms were growing weaker and weaker, and she was growing desperate. “Midnight! Remember that time when we got lost in the Tyrannian Jungle and I was falling all over the place? You helped me then! You guided me then! Guide me now Midnight! Help me now!” Midnight stopped for a second and blinked, trying to remember. Flashes of jungle ran before his eyes. But his evil side took over his kind self once more, and he started throwing his sword at Sunshine again. Midnight stopped as he struggled to take over his evil side and remember. As he started shaking and remembering, his eyes slowly turned into kind ones once more. He dropped the sword he was holding and ran to hug her. They shared a long, warm hug as friends again, as the battle(s) around them died down. The two friends looked at each other for a long time. Finally Sunshine spoke. “Midnight… How did he get a hold of you?” Midnight looked down and told her the whole story. Sunshine eyes widened. “So that’s why I was attacked by three Skeith soldiers in Faerieland!” she exclaimed. She pondered for a second, her eyes narrowed, and then her expression softened. “Come on, let’s go home. Everyone misses you.” With that, the two walked hand in hand across the battlefield to their homes. I’ll never lose you again, thought Sunshine. I’ll never lose you again. A/N: Hi! I’m age 9, and this is my first story ever submitted into the Neopian Times. I hope you like it! "We must hurry!" I said. The alarms were going off like mad hornets. We started to run toward the storage room. Kudo sat up and snuggled up to his brother, "I've always wondered about it. Do you think you can just pick them out of the sky like how you reach for something?" One day, after Ella had been addicted to her plushie for about a month, Karine told her, "Ella, dear, you shouldn't care so much about that plushie."